We know that 1 in 4 girls and 1 in 5 boys will become victims of sexual abuse before their 18th birthday. 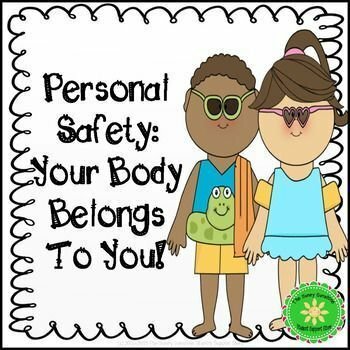 Having conversations about personal safety with your children can prevent abuse and help them enjoy a safe childhood. It happened. It’s not your fault. We are here to help. You are not alone. We can help. We heal the hearts and minds of children and adults who have suffered from trauma, or sexual, physical or emotional abuse, often by people they know and should be able to trust. Help begins with a call. We offer the area’s only crisis response hotlines, so our Advocates are available anytime with medical or legal support. How to deal with inappropriate behavior, bribes and threats. When and where to go for help, and what to do if the people you re turning to for help don t listen. The story is written with a positive and engaging approach using child-friendly language and charming illustrations. A “Parent's Guide with Prevention Tips” is also included to help parents understand their role in keeping children safe from sexual abuse. By learning how to interpret red flags and how to recognize possible grooming scenarios, parents can significantly reduce the risks and keep their children safe from predators. “No Trespassing - This Is MY Body!” comes highly recommended by pediatricians, teachers and parents as a valuable tool in the fight against childhood sexual abuse. Every child has secrets, and many secrets are fun to keep--for instance, a surprise birthday gift for Mom, or a secret handshake with a young friend. But sometimes, children have secrets that make them feel bad, and these secrets are best shared with their parents, or with some trusted older person. A child who is bullied might be inclined to keep it secret, but it's always best to tell parents about it. Or children who are touched intimately and improperly by an older person will soon feel better if they reveal the secret to parents. This book helps kids distinguish between good and bad secrets. Even very young children have concerns and anxieties, and Tell Somebody Books are written and illustrated especially for them. Parents are advised to read these books aloud while their preschooler listens and looks at illustrations of the boys and girls in each story. Many children in early grades will be able to read the stories for themselves. Tell Somebody Books encourage children to explore their feelings, and then to speak openly about things that trouble them. Fully endorsed by the Masters and Johnson Institute, "No More Secrets for Me is an invaluable resource to help parents talk with their children about the sensitive subject of sexual abuse. This updated edition, with a new foreword and chapter introductions, will help young people recognize the warning signs of abuse. The book will also reassure parents that their children will be prepared to avoid this all-too-real-danger.